Make your event an incredible experience for everybody and book Muse to perform at your event – we are a booking agent for Muse, and can arrange for them to put on a great show for your guests. The Muse that drove out of Glastonbury 2004 was a very different one from the Muse that had arrived. 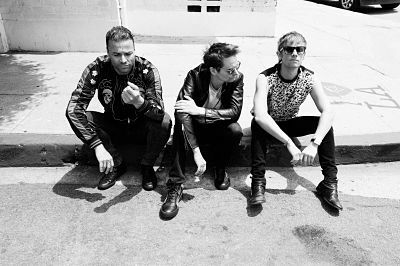 Following seven years of near solid touring, buzzing with nervous anticipation; their escalation from being the biggest band in Teignmouth in 1997 to one of the biggest bands in Europe by 2004 had been a rocket ride. Glastonbury 2004 saw Muse storm troop onto the high table of classic Glastonbury headline acts and prove themselves a formidable force in British rock. It was only with that triumph fresh in their throats, they claim, that they realised they’d ‘made it’. 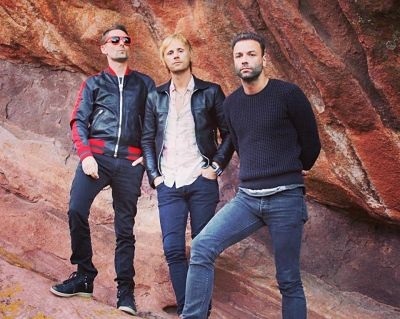 Following an extensive mid-West US tour, Muse took a month off before reconvening in summer 2005 in the bat-infested Chateau Miraval studio in a Knights Templar town in Southern France. Matt: “It reminded me, if anything, of Devon. Most of the writing process started out there, being a quieter place and truly cut off from the lifestyle we had.” Their previous albums, they figured, were borne of necessity; hurried in the face of impending tour dates and hobbled by the need to ensure they could be played live. 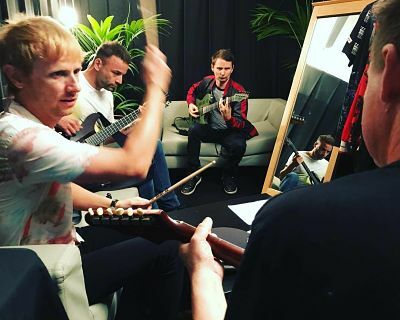 This time, they took a No Limits approach – no tour was booked, no studio tomfoolery was out of bounds; they were to explore the technological possibilities of the ‘studio band’. 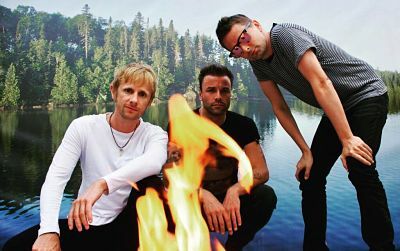 If Muse sound like a new band on ‘Black Holes and Revelations’ it’s because, after Glastonbury, they are: expanded of mind, settled of spirit and anything but sedentary of sound. ‘Absolution 2: Back To The Planets’, this most certainly is not. For continuity, in fact, we must look to the lyrical themes, where fans of the apocalyptic sound bite, the madcap conspiracy theory, the revolutionary rabble-rousing, the weird stuff about aliens inventing all earthly religions and other such classic Muse concerns will not be disappointed. But whereas ‘Absolution’ gazed on helplessly at the subjugation of humanity by corrupt world leaders and encroaching environmental or galactic disasters (and certainly, ‘Black Holes and Revelations’ has its fair share of climate change/oil crisis/global inflagration paranoia). “I think we’re approaching that time,” says Matt “If you look at those protests in France, the size and level of protest doesn’t really relate to what they’re protesting about. I think there’s something underneath that people are feeling, particularly the younger generation. We feel like we’ve been born into some pre-created situation where we don’t actually have any control over anything. We’ve got an ageing population as well and that control factor grates a little bit. I feel, through this album, that I’m feeling pessimistic and frustrated about it all but at the same time I’m not against revolutionary moves and I wouldn’t be ashamed to have incited a small riot, if it’s for a good cause.” The time has come. The New Muse Order is on the rise. 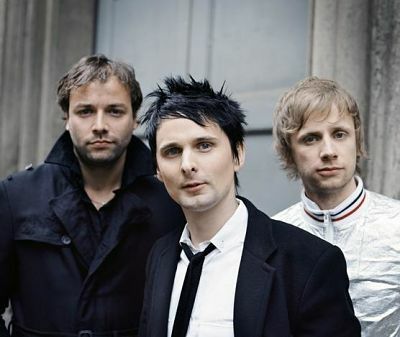 In February 2013, Muse opened The Brit Awards with a huge performance of Supremacy. Shortly after, they set off on a world tour. Contraband is the UK’s top booking agent, with amicable, skilled account managers who guarantee you the best deal possible. Contact us today if you would like to book Muse to be the headline of your event! We as your booking agent are more than happy to help you create the most memorable moments with Muse.